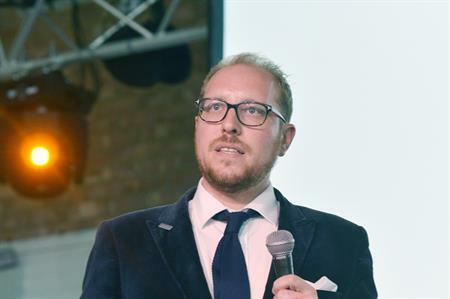 The International Live Events Association (ILEA) UK Chapter has announced its new board, including Alistair Turner as president. At the annual general meeting held at Oval Space in London yesterday (11 July), Turner, managing director of EIGHT PR & Marketing, officially took over the position as president of the UK Chapter of ILEA, formerly known as ISES, for the 2016/17 year, and unveiled the key strands of his ambition for the association. The main vision for the year was to build on the success of the previous board’s achievement through a campaign he called ‘Follow the Conversation’, a way of bringing the membership together behind a shared vision for the live events industry. Turner also announced plans for ILEA UK to use its high-quality content to widen its global footprint. Darren Bandoo from PRG programmes, Rui Cruz Alves from TFI Group, and Gavin Williams from FatUnicorn have all joined the board, with director at large support from Sarah Page from Event Concept and Georgia Toppin from The Barbican. New appointments also included Kirk Thomas from Athena Events Group in Education, plus Carlo Zoccali from Arsenal FC and Richard Kadri-Langford from Lime Venue Portfolio, in the vice president and director at large positions for marketing respectively. Turner also introduced Mike Fletcher, freelance content provider & consultant, who will act as a special advisor to the board to implement the chapter’s vision. Past president Kevin Jackson will continue to support the new board whilst taking on the responsibility for finance. "It’s difficult to quantify the work done by the last board and the #morenifesto. The chapter has taken some huge leaps forward and the main responsibility of the new board is to keep the momentum going," said Turner. "For us, this is about understanding why #eventprofs join ILEA, which is to meet, talk and debate with other professionals about what we see as the pointy bit of the events industry, the bit that delivers growth to the industry, the bit where events are about brands and businesses, experiences and communities."